CIVIC Video Nambour will bid a heartfelt goodbye to Currie St, closing its doors after more than a decade. 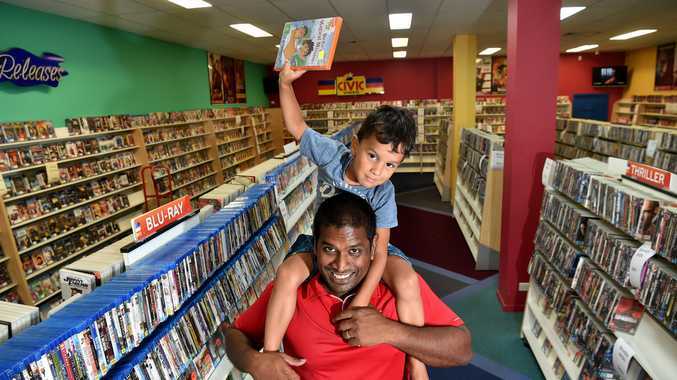 It is the last of Nambour's video stores and believed to be the second last on the Sunshine Coast. In the coming weeks the popular store will sell their remaining sock and close by March. Owner Suhail Mahadevan said the store tried to "tough it out" but their trade trajectory showed a downward spiral looming. "It is unfortunate, we have been going for 10 years now and this is it," Mr Mahadevan said. "The trades been going down for a while and the cost keeps going up. "We could have held on but the figures show in a year we would have been even worse." The popular store on Currie St took to social media over the weekend to express their sadness at the "tough" decision. Today the store has been buzzing with customers - more than 40 at one point - with the old faithfuls determined to show their appreciation. And that, Mr Mahadevan said, is the hardest part of the decision, despite being so flat out. 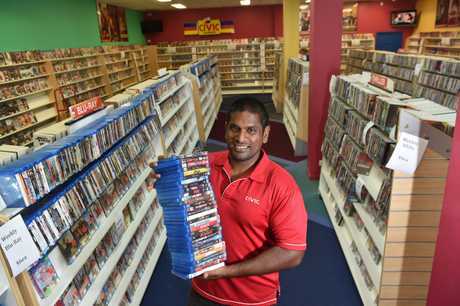 "I know it's cliche, but there's a spirit about Nambour and the video store staying open this long is proof," he said. "Customers repay good service with loyalty. And I will really miss that. "You know their names, know their family and watch them grow. They become friends. "It is exciting to be able to bring them the movie experience and keep them entertained. I'll miss that." The closure comes months after Network Video Coolum shut to make way for a service station. It is understood to be the Coast's last remaining Civic Video's store. He said online streaming services such as Netflix and Stan planned their part in video store demise across the country. "They took a big chunk, there are so many online offerings," he said. "But also changing social habits contribute. "People spend more time on social media now - that time used to be move time. "Plus there is more offerings on free-to-air television too. It's hard to compete."